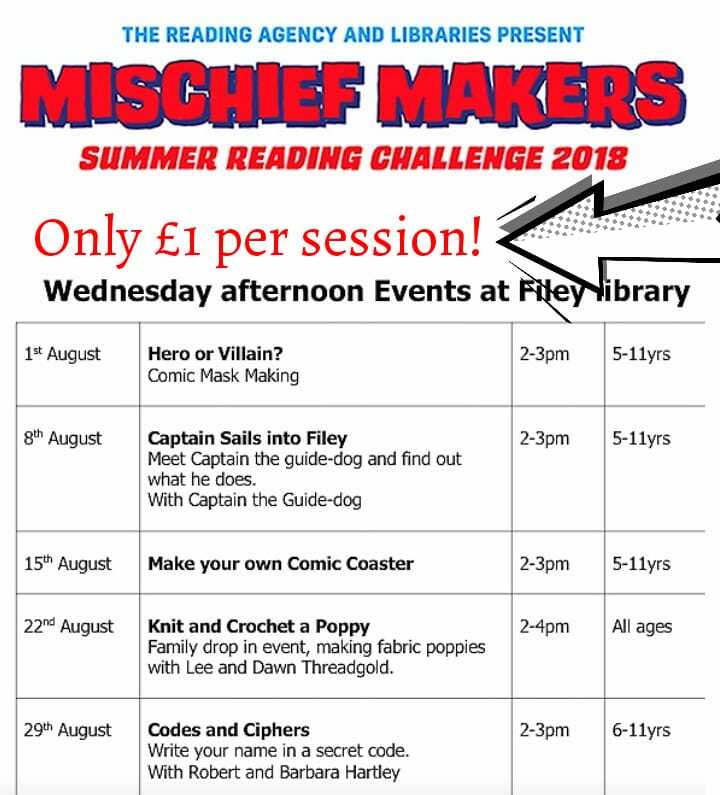 Summer Reading Challenge activities on Wednesday afternoons during August. Please sign up at the Library. £1 per session!